The world of Sales Operations is ripe with innovation and ever-changing best practices. 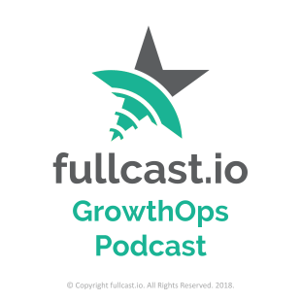 With your host, @Tyler Simons, the GrowthOps podcast will include industry expertise from fullcast.io, and other industry experts as we break down the Sales Ops problems we are all trying to solve in our day to day. Whether you live and breathe Sales Operations, or just appreciate a good way to route leads, the GrowthOps Podcast is a must listen every week for anyone interested in hearing and learning how the unique problems in Sales Ops are being solved today. If you are in the Apple ecosystem, you can subscribe through iTunes and get it on your desktop or ios device through the podcast app. If you are in the Android ecosystem and what to subscribe via the google play store, you can subscribe at the link below. If you have a favorite podcast app like “Overcast”, you can either search for the podcast or use the link below to subscribe.